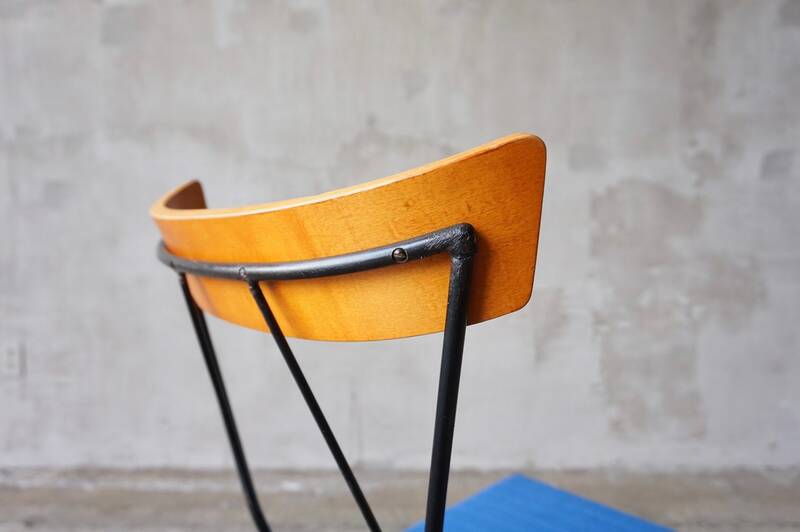 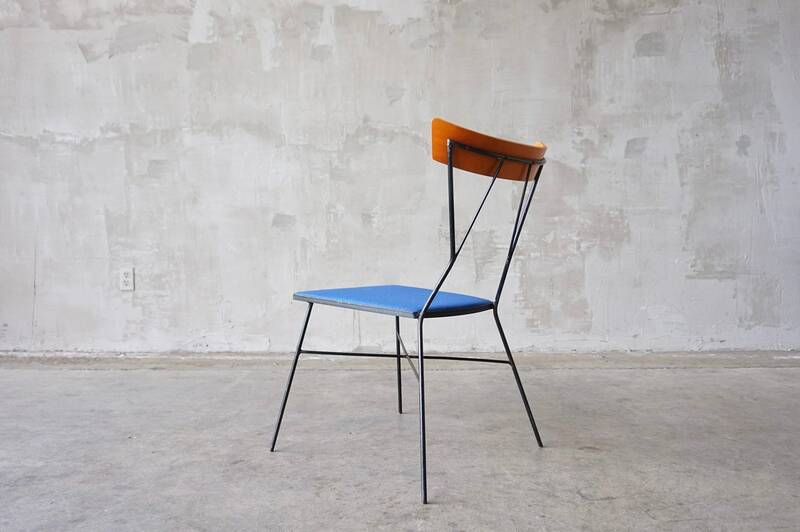 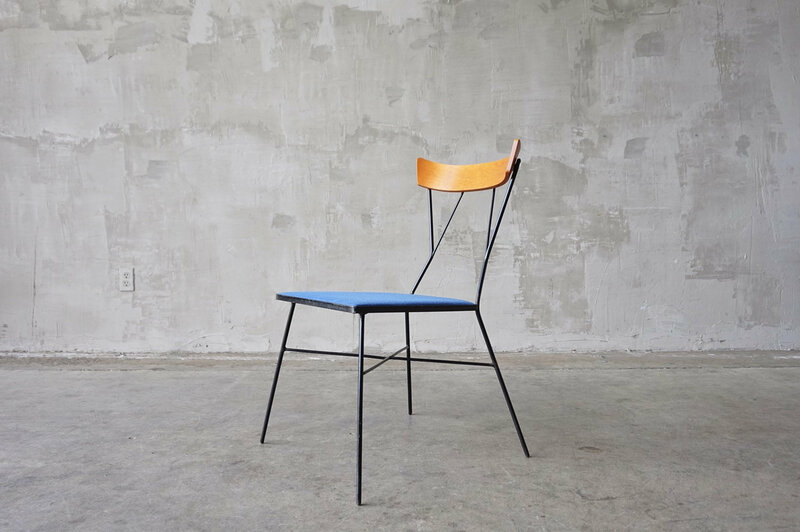 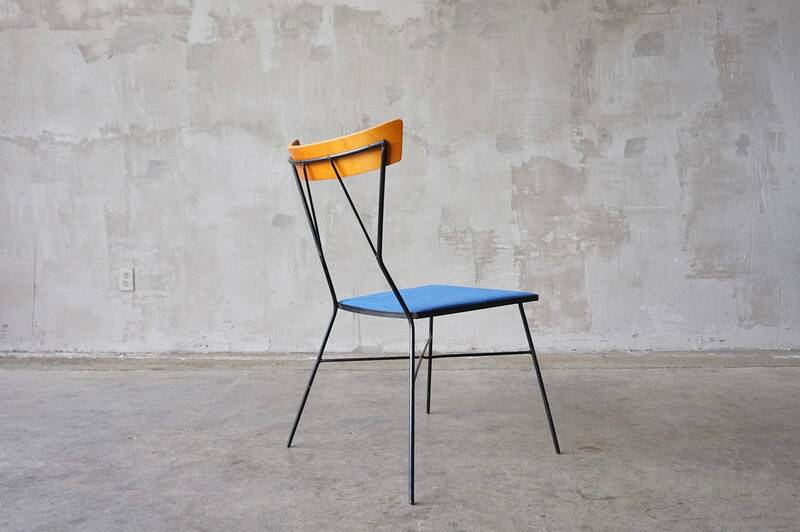 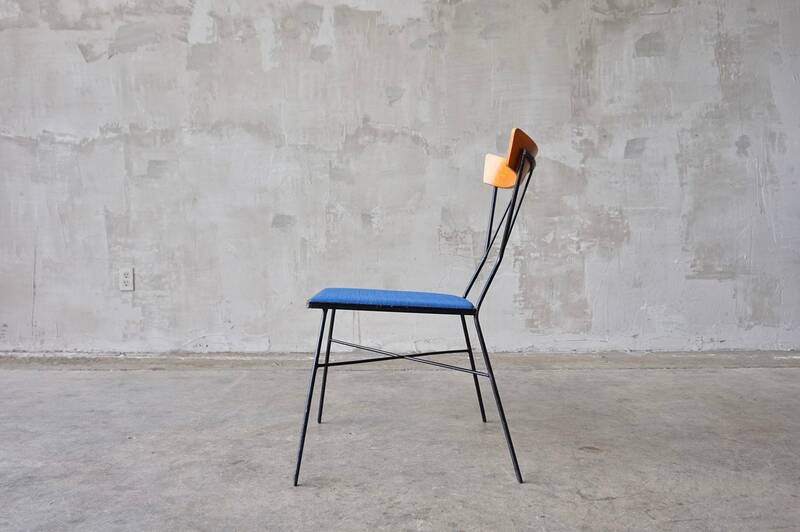 Rare chair designed by Paul McCobb for Arbuck, c. 1953. 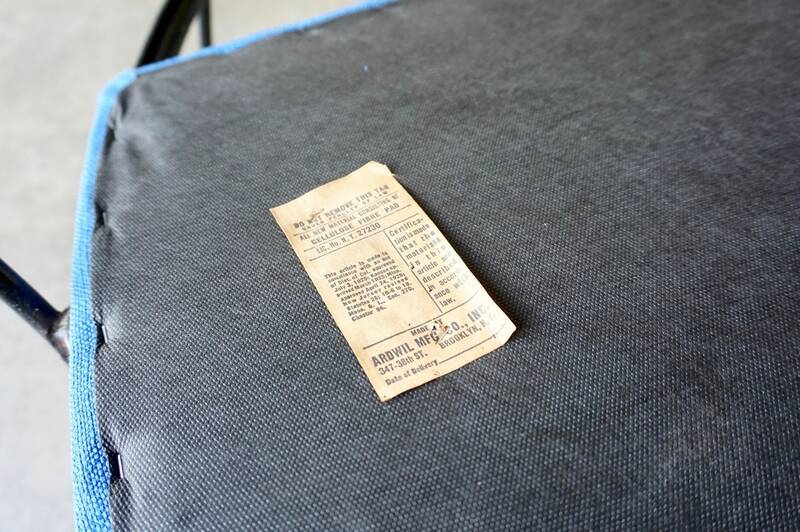 Excellent original condition to the frame and wood back rest. 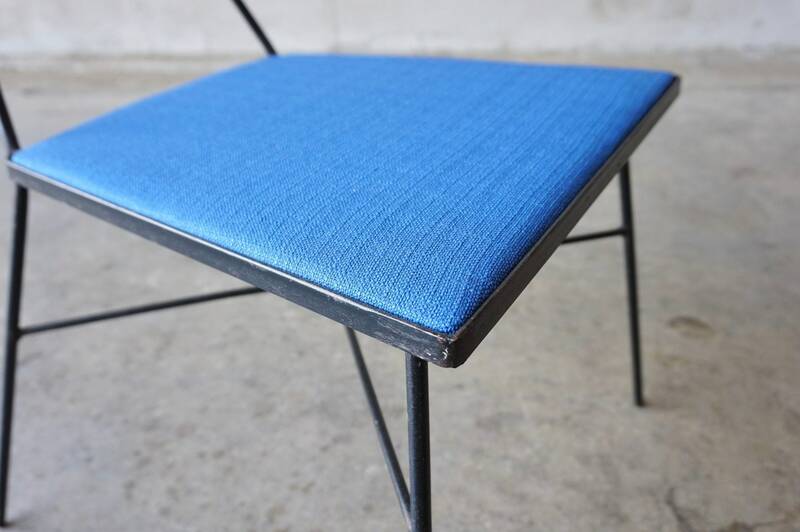 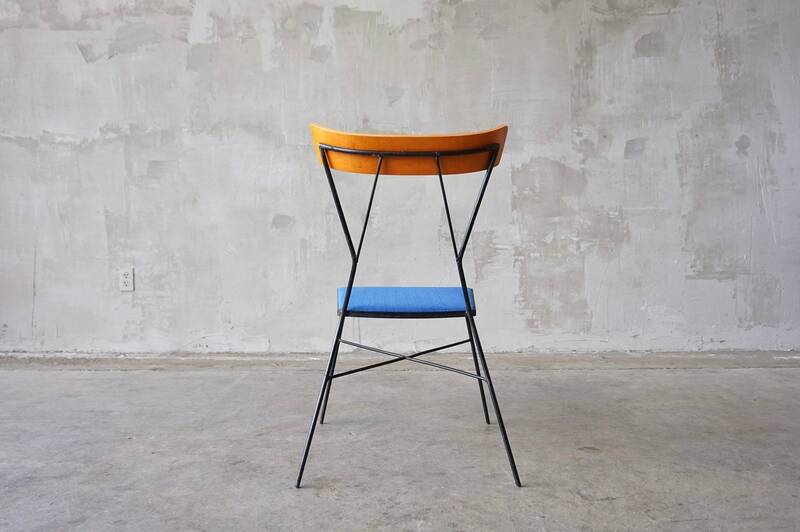 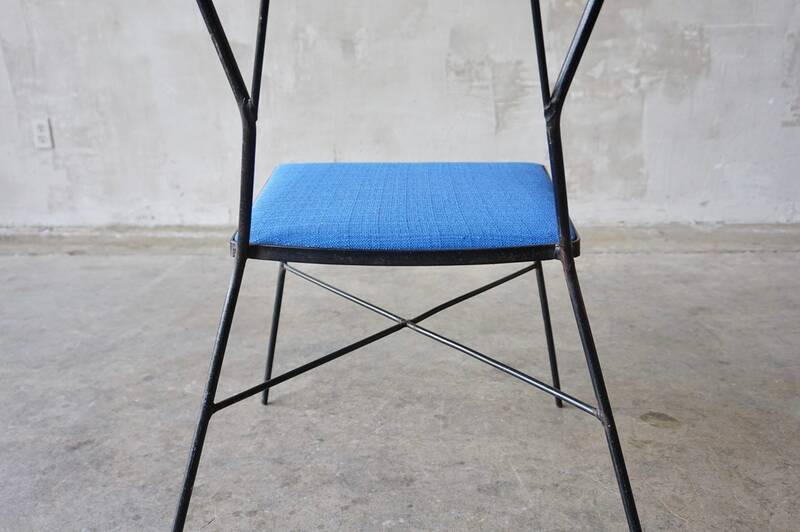 Seat bottom has been recovered in a rich blue period correct textured fabric. 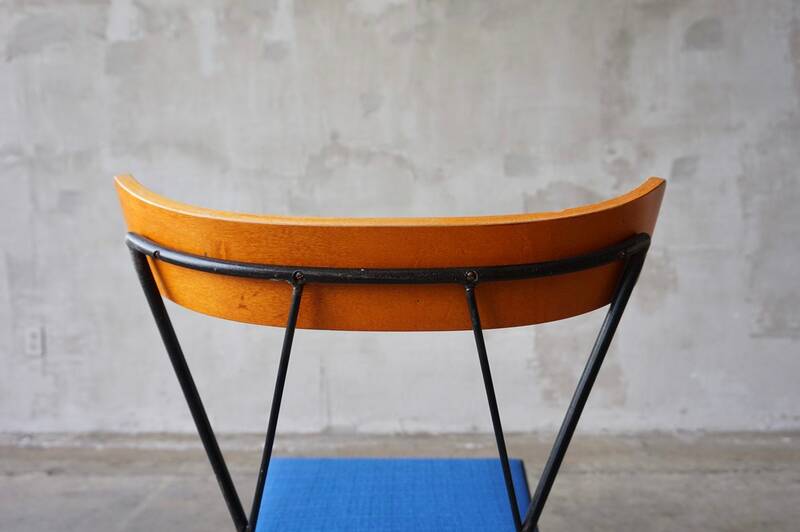 Measures 17.5”W x 32.375”H x 22”D.